The ability to livestream television, especially sports, is handy while you're away from home. But what about the times (driving, working, etc.) when you can't give a screen your undivided attention? You could opt for an all-audio option. 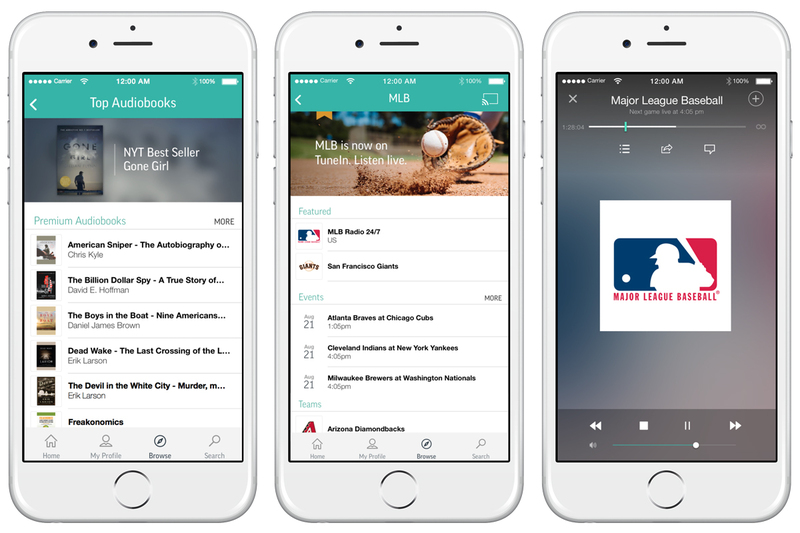 With TuneIn's new subscription service, you won't have to worry about missing Major League Baseball, Barclays Premier League or Bundesliga action. For MLB games, you can choose between either the home or away feed for every game from spring training through the World Series. The BPL play-by-play is provided by talkSPORT, and while all Bundesliga matches will stream in German, only select match-ups will be available in English. The $8 a month ($8.99 CAD/month and £5.99/month) TuneIn Premium option not only serves up access to live radio coverage of those sports leagues, but it all offers over 600 commercial-free music stations, 40,000 audiobooks (including language learning programs) and content from TuneIn's existing free tier. The new service is available starting today on the web and via Android and iOS apps in the US, Canada and the UK. If you don't happen to live in one of those areas, plans to roll the service out to additional countries are in the works.